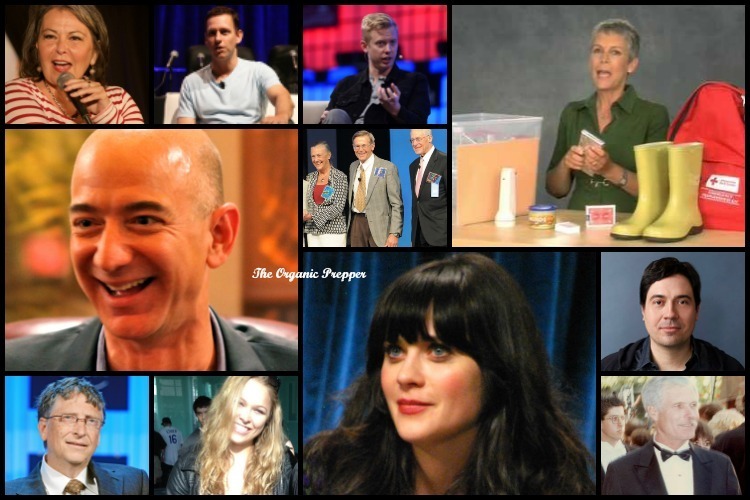 This is another article outlining the rich, famous and respectable people that are prepping for something coming in the future. Are they crazy too? (Well, some of them probably are but that’s not really the point.) With more and more people coming out and making prepping mainstream it’s just a matter of time before those that aren’t prepping are in the minority. You can always find the latest SHFT and prepping news on our news page. Don’t even bother “prepping” or attempting to “survive”. There are NO survivable “End-of-the-World” scenarios anymore. NONE. If things ever got bad enough that you had to “survive”, you might as well not even bother. Spend your time and money and resources and energy on either making the world a better place in the first place, or just have fun while you can. If the SHTF or it’s TEOTWAWKI, there are over 400 nuclear power plants around the world that take about 50 years to shutdown, and no one is going to stick around to do that if they need to survive themselves, plus there most probably will not be any electricity, etc. So all (or most) of those nuclear plants will MELT DOWN, and 400 Chernobyls and Fukushimas will literally kill Planet Earth and EVERY living plant and animal on it. (arguably, SOME (very few) will “survive” (mostly plants and insects and small animals), but they will be the unlucky ones) THAT is the ABSOLUTE TRUTH of the situation as it now stands. And, statistically speaking, “SOMETHING” ‘BAD’ is going to happen sometime in the probable not-too-distant future. The Human Species has already slit its collective wrists, we are just waiting for the darkness to come. I agree that the spent fuel ponds are a problem at these facilities. The reactors themselves aren’t really an issue as I understand it. I’m not sure where the 50 years to shut down comes from. Control rods are fully inserted by default so gravity should put them back in place if something happened. It would effectively cool the reactor so we wouldn’t have to worry about it. The chance of the reactor melting down is slim, the chance of an issue with the spent fuel ponds is much higher.